I don't think to play with the challenges at Scrap the Girls often but was on a roll this month with completed challenges to decided to see what was on offer. The colours and challenge were interesting so I based this page on the inspiration from the new banner; the deep pink, and the word 'banner'. This is our only granddaughter; 'Now and then life' sends you a little curve ball just to keep you interested; we didn't think we would every have a little female born to our family! These photos were also taken at our recent family photo shoot. She was a little shy that day and there were not as many photos taken of her as I had expected; the others all have her with apple juice on her face! I love the little cloche hat and the black patent leather boots! Oh this is very cute, I love the photos and the papers!! 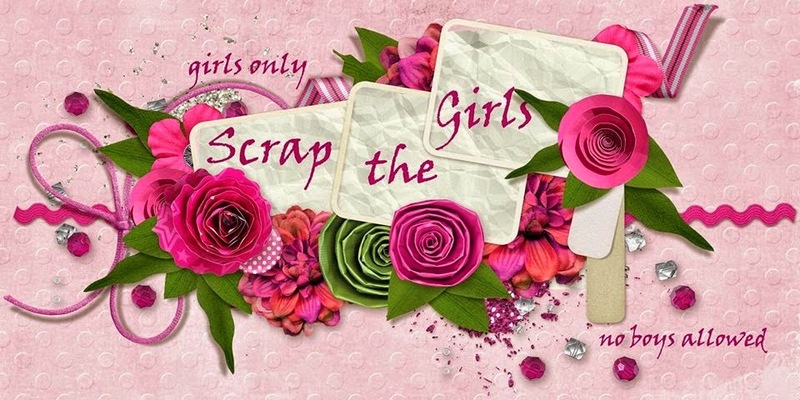 Thanks so much for joining in at Scrap the Girls this month too..
Beautiful page! Thanks for joining us at STG.